There are ways to do your makeup if you’re wearing glasses, but what if you wear contacts? For people who wear contacts on a day-to-day basis, it can be a struggle, especially if they love wearing makeup too. One of the easiest ways to irritate your contacts is through makeup, so how can you wear makeup AND wear your contacts at the same time? Read these makeup tips to find out how you can wear makeup AND contacts. 1. First, make sure to wash your hands. It’s pretty MANDATORY to wash your hands before you put on your contacts. This rule applies to both putting on makeup and contacts, really. Anything on your fingers, including parasites and other bacteria, can transfer onto your contact lenses, and that can be VERY dangerous to the eyes. Some makeup tips will tell you to use long-lasting products. Well, that may not always be good, as some of these contain oil. If you want to wear makeup and contacts, try sticking to oil-free products for your eyes. Some oils and eyeshadows contain oils that will eventually make their way into your eyes. Think of it this way: oil and water never mix. The water in your eyes will make it easier for the oil to get inside. It won’t hurt your eyes, but it will make seeing very difficult, as your lenses will become cloudy. 3. Avoid the lid edge. What’s the lid edge? It’s basically the part of your eye where your oil glands open up. If those glands are covered up, your eyes will become dry. Avoid lining this part of your eyes with too much eyeliner or other makeup products. One option is eyelash enhancement, which uses semi-permanent pigmentation to make your lashes appear longer. Think of it as eyeliner that won’t budge or get in your eye. One of the makeup tips you have to SWEAR by if you wear contacts is to use little mascara. If your mascara ends up being clumpy, little particles can fall into your eyes and get trapped under the lenses, which can be REALLY uncomfortable. If you really want to use mascara, go for volumizing ones while avoiding products that have fiber particles. Over time, your lenses will become less and less fresh. To really make sure that you avoid itching, redness and other eye infections from your contacts, use daily lenses. 6. CLEAN your lenses, please. Take good care of your lenses. You’re going to be putting them in your eyes. Don’t you want to be extra careful by caring for them properly? Every night, clean your lenses using the solution your eye doctor will give you. Make sure the solution is FRESH, and that your containers are clean. By properly taking care of your contact lenses and using the right kind of products, you’ll be able to wear makeup AND contacts without fuss. 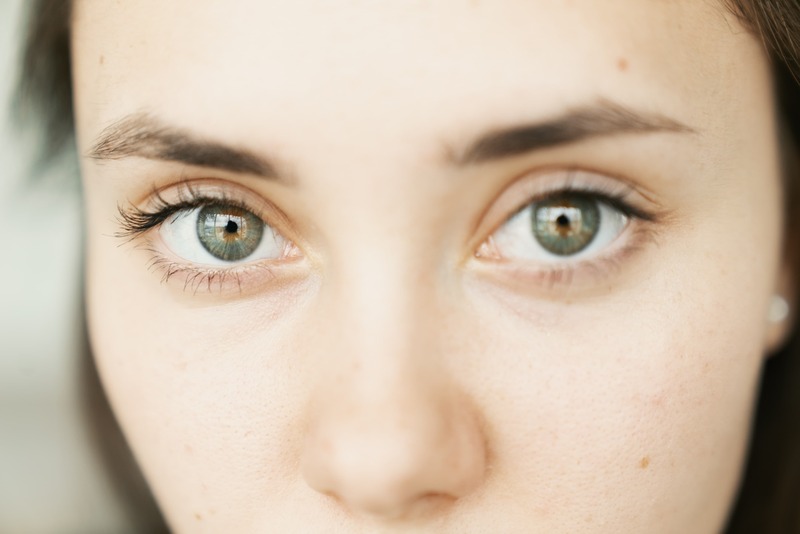 We hope that you found these makeup tips for people wearing contacts to be useful!